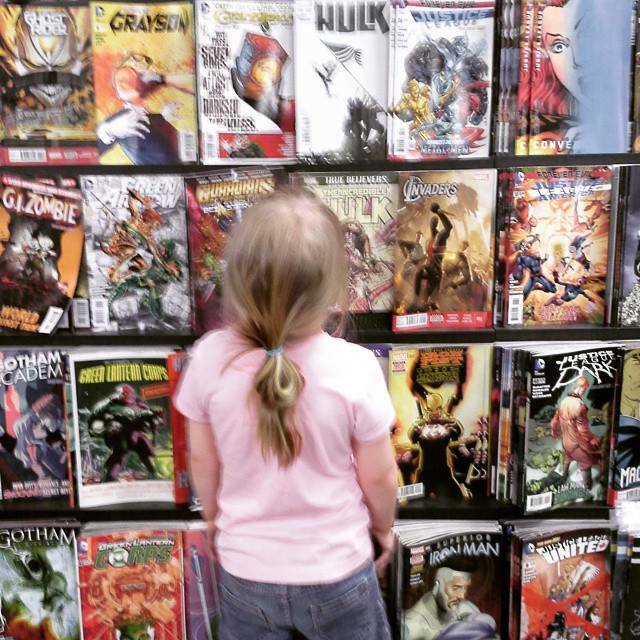 Hurrah for comic books — what a wonderful experience for her. She’s storytelling!!! Next, give her (with your help) the tools to write her stories down (or record her stories). Before you know it, she’ll be an author of her own comic books — or children’s stories!